I have a few options to choose from for next month's competition. 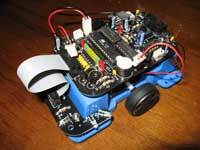 My first real robot was a line follower (and maze solver), a Microrobot Cruiser. It uses a 10-pin AVRISP programming header and features an ATmega8 processor and two Sanyo LB1368 motor drivers for the two motors. Oddly enough I never used it beyond some initial obstacle avoidance tests. If you've been reading awhile you may recall my AFRON "$10" robot, "Carve". 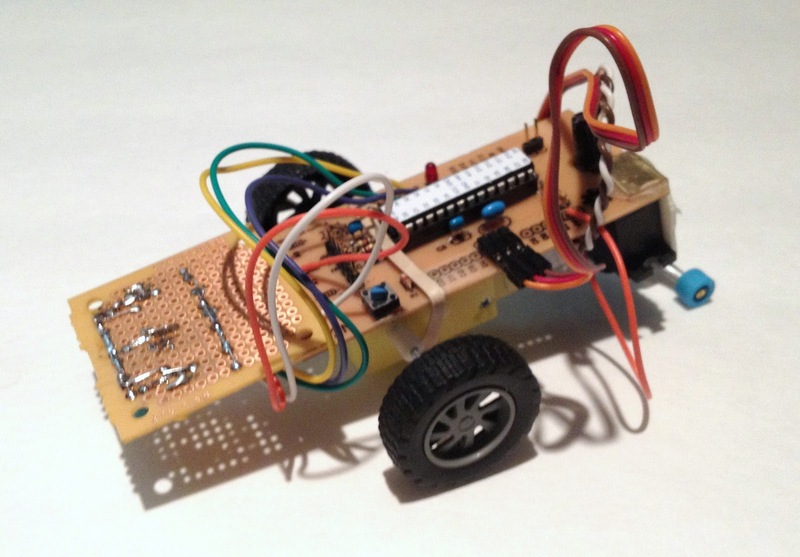 It's an ATmega328P-based robot with a single very cheap drive motor, a cheap servo, and a skateboard truck for rear steering. It's not all that agile for line following but it's fun. I also purchased a Pololu 3pi a couple years ago during one of their black Friday specials. It's supposed to be very fast. I wouldn't know; it's still in the original box. 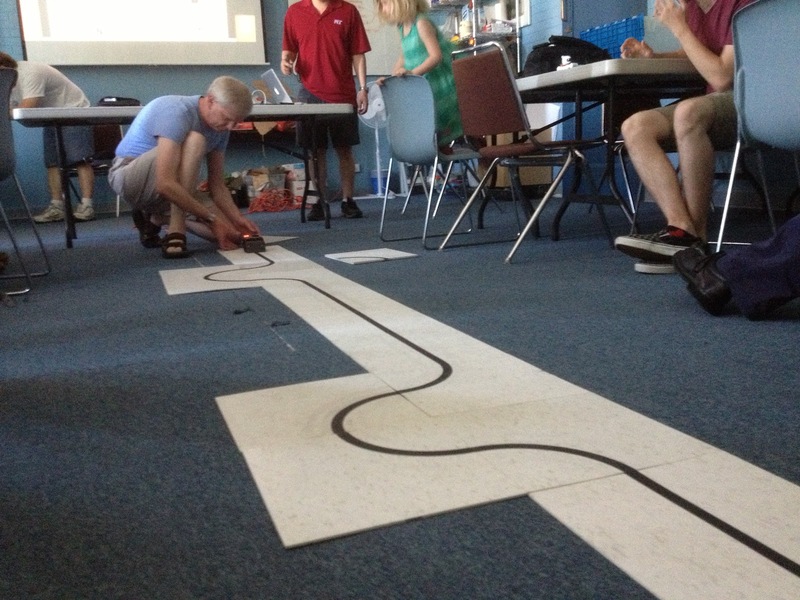 Robot competitions are always a great excuse to play with new robots. For practice, I'm using tiles from robotsquare.com affixed to cheap dollar store foam core.